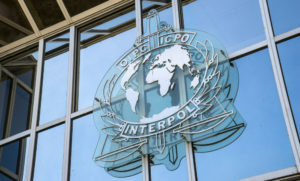 Globalized authoritarian regimes are increasingly abusing Interpol’s notice system to go after political opponents based abroad. These regimes seek not only to punish their critics, but also to legitimate their own acts of repression. Taking advantage of broad global respect for regionalism, authoritarian regimes are using their own regional organizations to bolster fellow autocracies. These groupings offer a mechanism for lending legitimacy, redistributing resources, and insulating members from democratic influences. Central African autocrats are using their stolen money to outmaneuver their opponents and deflect international criticism. Editors' introduction to "Britain After Brexit." The referendum campaign and its aftermath have exposed fault lines between the “two Britains” that have been long in the making and that pose stark questions about national values and identity. Following the end of the Cold War, an international norm against coups began gaining strength, but it seems to have lost momentum in recent years. What has happened? A few years ago, Europe’s most important intergovernmental human-rights institution, the Council of Europe, crossed over to the dark side. Like Dorian Gray, the dandy in Oscar Wilde’s story of moral decay, it sold its soul. And as with Dorian Gray, who retained his good looks, the inner decay of the Council of Europe remains hidden from view. The financial crisis did not deal a fatal blow to any democracies, but it did hasten an erosion of the influence of the West. In the future, the balance of power among competing regime types may be decided by the emerging-market democracies. Why do election monitors sometimes issue contradictory statements or endorse flawed elections? The answers are not always straightforward; in some cases, the monitors’ good intentions may undermine their credibility. A coauthor of the pathbreaking study Transitions from Authoritarian Rule reflects on the lessons that he has learned about democratic transition and consolidation since the publication of this work nearly 25 years ago. The countries of Central and Eastern Europe have been struggling to devise approaches to political economy that can bring stability, prosperity, and a measure of equality in a world dominated by global finance and exchange. In April 2008, disputed election results in the tiny state of Moldova sparked violent protests and a harsh response from state authorities. A review of Freedom’s Battle: The Origins of Humanitarian Intervention by Gary J. Bass. In February 2008, Kosovo broke away from Serbia and declared its independence. But to what extent is it making progress toward its goals of sovereignty and democracy? Western pressure can be decisive, but it is not always easy to forecast when and how it will be applied. Can regionalism help to redress the uneven spread and internal weaknesses of democracy in Southeast Asia? Unforeseen events in the region and positive political entrepreneurship may yet transform ASEAN into a force for democracy. In the conditions of today's world, countries that are in a bad way as regards some aspects of their governance may benefit from agreeing to shar portions of their sovereignty with external actors. Like many other world-government bodies, the International Monetary Fund is a necessarily nondemocratic organitzation that cannot help but have an impact on democracy’s prospects in poorer countries. Modest progress in the muslim-majority countries is complemented by mass mobilization for democracy and freedom in Ukraine. Meanwhile, Russia ranks as Not Free for the first time since the fall of communism. The United Nations did superb work in helping Mozambique to end its long-festering civil war and start down the path to recovery, but those gains could slip away amid ominous conditions of partisan polarization, excessive political centralization, and a winner-takes-everything electoral system. Although the OAS helped, sudden public revelations of corruption in Peru were more important. The evidence clearly points to the growing incorporation into international law of the right to democratic governance. The promotion of democracy in Africa has become the dominant theme of South Africa’s foreign policy. Yet the dilemmas this policy has confronted in practice have forced the government to alter its approach. Nowhere else has the impact of international factors on democratization been as apparent as in Central and Eastern Europe. Integration into European and Euro-Atlantic structures is one particularly strong democratizing force.